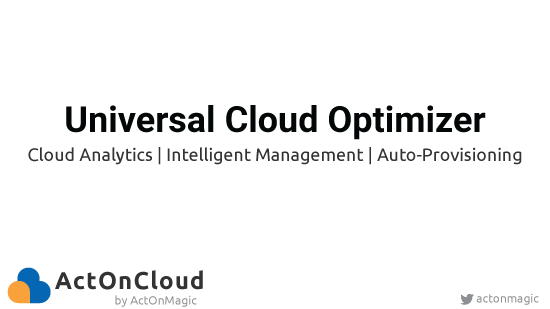 ActOnCloud is an universal cloud optimisation platform that helps you to improve cloud efficiency by reducing cost, improving uptime and utilisation. Automate your cloud operations, Build highly available cloud infrastructure and Gain complete control over entire cloud. ActOnCloud allows you to define self managed group to keep up the up-time of your production workload. Creating one or more cloud workloads is made easy with simple to use wizard from ActOnCloud. Define teams and controls for teams to get visibility into usage across teams and organization.